She has expanded to include poetry and a short fictional story about farming. Her first book A Native Breed was long-listed for the 2017 Lakeland Book of the Year Award and is now out of print. Her second book In My Boots is almost sold out and she is now working on a third book about her new farm near Tebay in the North Westmorland Dales extension to the Yorkshire Dales National Park. Andrea Meanwell lived and farmed in the Rusland and Crake valleys, near Coniston, for eight years between 2009 and 2017. She was an off-comer, fulfilling a dream. She was impressed by the selflessness and dedication of the people working in the valleys and felt inspired by “their contentment with their lives, never wishing for another easier life and never focusing on material possessions.” It is the valleys and the people who have been the inspiration for her poems and her stories. But she knows how uncertain the farming life is when they seem to be fighting a daily battle against the loss of subsidies, when grazing is being lost and tradition is in danger of disappearing and when the farming community seems to be under “friendly fire” from conservationists and environmentalists. Andrea is writing to defend the way of life, the tradition of the valleys. One of the children of the valley is seven year old Henry. He is expected to give his ten minute talk to the class in primary school. He stands up, unprepared, but he is so full of his subject, owls, that he holds the class transfixed: “Here was a child born to hold the attention of others, to speak to an audience and think on his feet.” Henry’s parents reported that he had always loved owls, had even convinced them that he would spend his evenings up in his bedroom talking to them. Years later, when his parents were renovating his room, they found a dead owl in the fireplace. Other stories tell of Joe’s Cows and his trip to auction and of buying a farm in the Crake Valley, only to find “a resident claiming squatter’s rights, a very wild Swaledale ewe”, who had belonged to the previous owner. The story is one that seems to grow out of the landscape. Andrea says she first visited Bethecar Moor in 1993 when she was exploring the countryside as her husband was fell running. Wandering around the abandoned and unlocked farmhouse, she started to people the building with her imagination. The result, twenty-five years later, is this evocative story of farming life in a Lakeland valley. 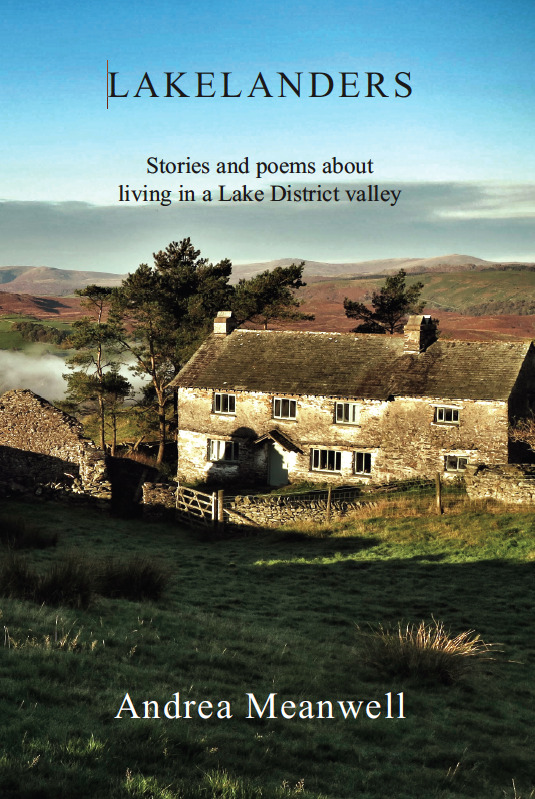 These are quiet, affectionate stories and poems of life that seems hefted to the valleys of the Lake District.